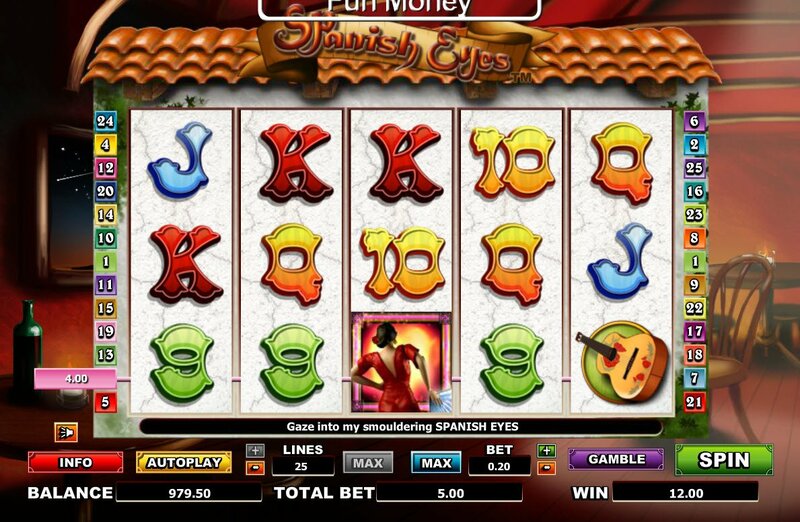 Look deep into the enthralling Spanish Eyes slot to find your winning paylines and scoring symbols. With a nice lot of nifty bonus features, including free spins, this SkillOnnet slot is worth spending some time getting to know. There’s my ever favourite Gamble feature available, too. Much has been made about Spanish Eyes over the years, music has been written especially about these Latino orbs, most notably the King himself, Elvis entitled a song about them. The SkillOnNet Spanish Eyes slot is in keeping with the atmosphere developed and maintained with many musical and theatrical offerings of the Latino nature available to delight us with this amazing culture. Flamenco dancing and Spanish Eyes are a dream team, in this SkillOnNet slot we will enjoy a beautiful blue fan, a guitar and other Flamenco dancing instruments to keep up the beat. The girl of the reels will have you spinning on the dance floor, not just on the reels. 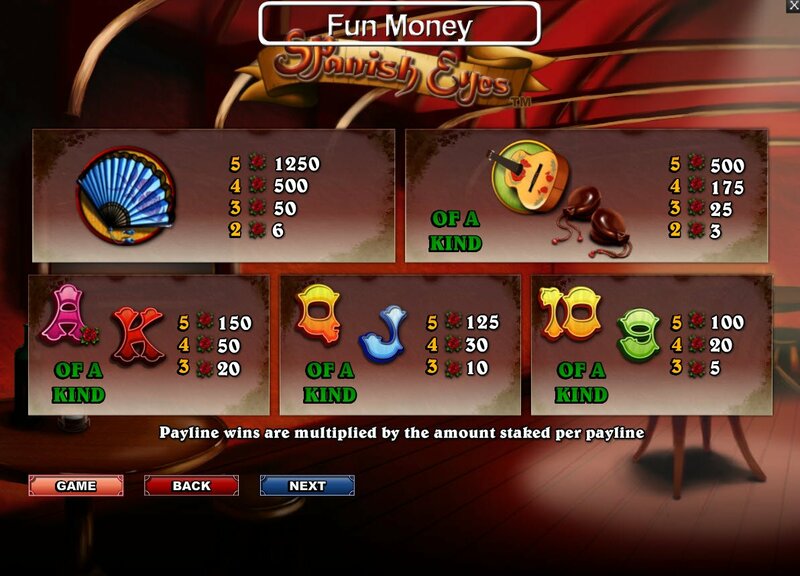 As with online slots games, winning paylines are always from left to right, this can be quite bothersome if you have managed to line up a nice set of symbols from right to left. I have often been left wishing for a mirror image that could fool the screen due to this playing rule! Flamenco dancing and Spanish Eyes are a dream team, in this SkillOnNet slot we will enjoy a beautiful blue fan, a guitar and other Flamenco dancing instruments to keep up the beat. In general, SkillOnNet features large, clear graphics and eases playability, and the Spanish Eyes slot game is no exception. The flower, looking very much like a full bodied rose, will scatter petals and goodness over your game when you land three or more, by giving you 12 free spinning games, all multiplied thrice! Our Spanish Eyed diva is the girl with the wild power. She will trigger the Pick and Win feature when she lands on your spinning reels 1 and 5. You will be able to win up to 100x your triggering bet too. There's also the nifty Gamble feature I always find a treat. It pops up when you least expect it to give you that little something extra that we all deserve from time to time.